Gosh, this book almost knocked me out. Partly with the plot but the UK hardback of this book is huge. And heavy. And fell onto my face. So I have elected to use one of my own pictures today to show the sheer size of this behemoth. Laini Taylor’s writing is imaginative and she is a writer who isn’t afraid to let the book form around her, she won’t force the story and this shows. The story flows before you and wraps around the characters and the reader creating a world that is believable, well described and intriguing. It has the sort of plot and world building that makes you wish you can dive into the world and look from a different angle than the one that is being explained because you are simply afraid you are missing something. This book has multiple voices with Lazlo Strange – a young librarian and Sarai a kind of goddess in a world where they are not welcome. What is intriguing about these characters is they reject the tropes that you could commonly associate with them. Lazlo isn’t some Adonis that as a reader we are meant to fall in love with instantly because ‘omg he is just so strong and handsome,’ rather he is much like ourselves, someone who’s head is literally always in the clouds because of the stories he has read. Sarai on the other hand is what initially, you could imagine to be the antagonist of book, however misunderstood she is and as the situation becomes clearer and clearer the power she hold is not ultimately hers to use as she sees fit. The moth theme derives from the power that Sarai has, so take from that what you will. This book steeps itself in the myth and folklore of a world we have no clue about, and thus no inkling of where the story will go, a nice change from where you can have a good guess – and often be right – at where a story will go by knowing your mythology. What is great about this book is that it is in effect a love letter (or novel) to all the fantasy readers who pick it up. 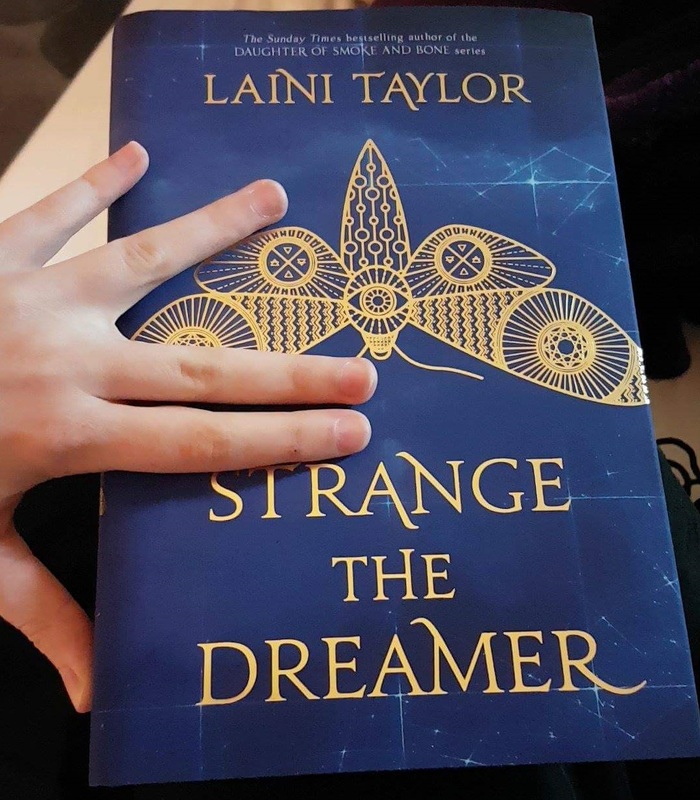 It tells you, you don’t have to slay dragons or be a fairy princess to be amazing you simply have to dream and imagine and you are already amazing no matter what – so thanks Laini for the shout out to all the readers out there. I read this over about two days – I couldn’t quite justify staying up all night when I wasn’t even a fifth of the way through. I’m glad though It meant I spent a great afternoon with the story and the simple anger that comes from cliffhangers.